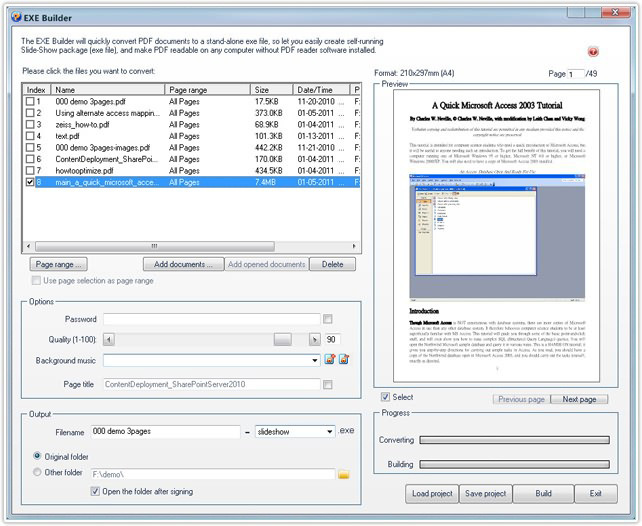 The EXE Builder of PDFCool Studio can quickly convert a PDF document to stand-alone EXE file, which allows you to easily create self-running Slide-Show package (EXE file), and make PDF readable on any computer without PDF reader software installed. 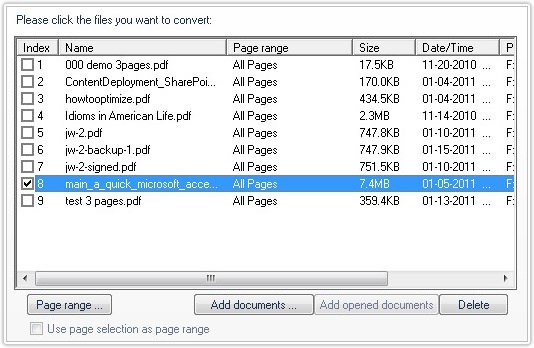 Note: If check "Use page selection as page range" option, the current page selection in the PDF document will be the default page range. 5. Click Build button to finish the creation of the EXE file. Click "Load project" button located in the bottom right of the EXE Builder dialog, the user can import saved project files; Click "Save project" button, the user can save the current options as project file for reuse.